I grew up in the suburbs and always wanted my hair to be long and flowy. I started off with micro braids to achieve that, but it became a game in my class to pull on them. Then, I transitioned to perms so my hair could match everyone around me. I was never confident in my hair. I started to see more and more natural girls on social media. That initially sparked my curiousity about how my natural hair actually looked. Plus, I hated the process of perms. Cutting my hair and seeing the growth. Also this may sound weird, but bonding with my hair. Spending those long nights twisting and finding out exactly what my hair likes in order for it to grow. 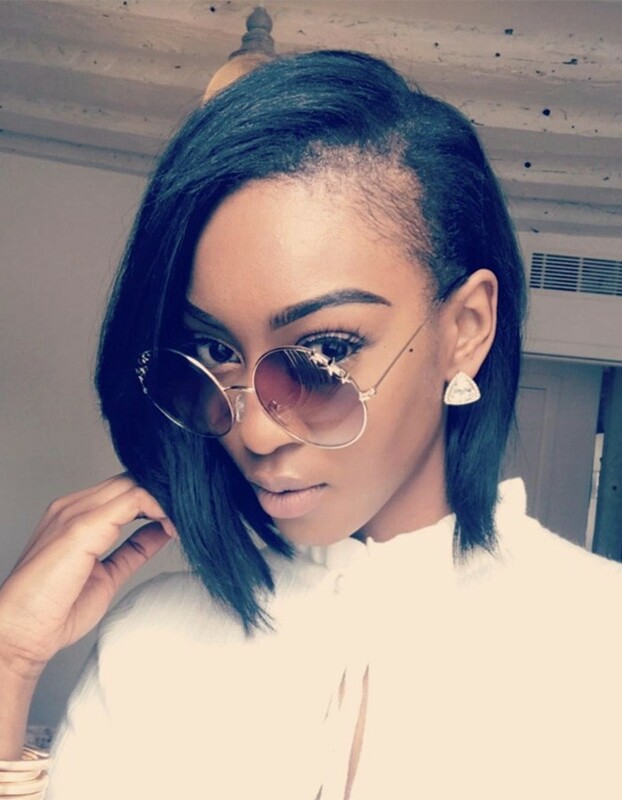 What has your experience been like wearing your natural hair in the fashion industry? My experience with wearing my natural hair in the fashion industry has been empowering. Empowering because I’ve been able to touch a vulnerable side of the industry. At first it was very tough being the natural girl with tightly coiled 4C hair. Always in a state of uncertainty showing up to a job because 9 times out of 10 the hairstylist has never worked with my type hair before. I’d do my hair the night before and make sure to come on job with supplies so that I can either fix or do my own hair. There was one time I had to call my mother to a job to come do my hair. Also, having to go through telling them no about straightening my hair or having to walk out with your head held high when you get told that your hair is to coarse. I have noticed that the industry is slowly evolving! Despite that I use it to keep me empowered. I’m going to keep pushing and helping with the movement by applying pressure so that black natural models will have stylist on set who can do there hair and have proper hair products for EACH type of hair texture. So they know when they walk on set that they will not have a botch job done. No matter where they are in there career they will be fully taken care of as they should be. Van, her hair is goals! For sure, my hair pick! and a hair oil. So water, oil, twist butter. I had a lot of failed hair style attempts, which is challenging because I wanted those hairstyles to come through! 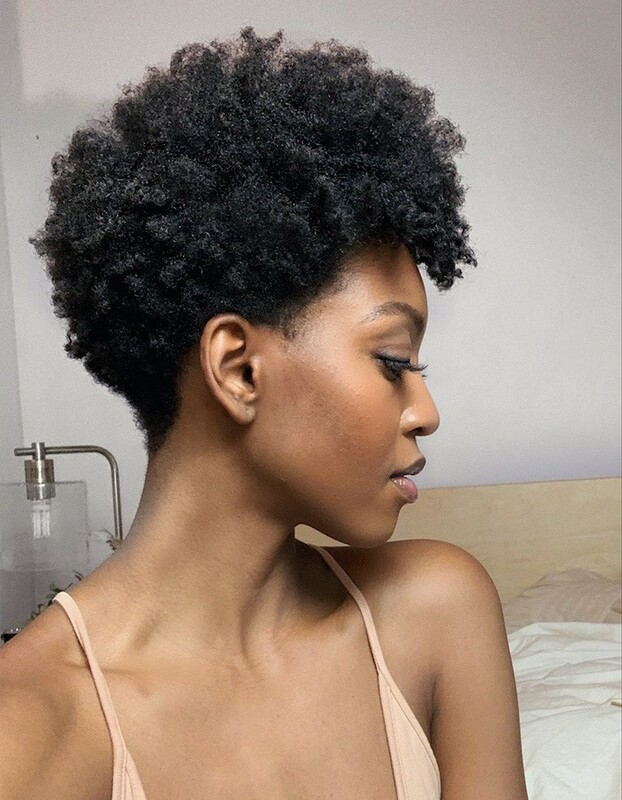 Natural hair represents strength, and beauty. It represents power and resilience because of its historical presents. It’s a crown that I get to rock everyday, loud and proud at that. Yes! Keeping my routine simple and consistent with the same hair products. TLC! It takes time, but embrace that it is what God blessed you with. Fall in love with the journey. This has been the hardest part for me. As a 4C my hair molds into whatever it touches. So if I wrap it in the morning, it will be flat. If I sleep on it, it will also be flat. I don’t have time to twist it up every night. So, for now I just sleep with my honey and pick it out the next day!